MOUNT VERNON — In the hours before Hana Williams collapsed in her adoptive family’s backyard and succumbed to hypothermia, her adoptive mother and siblings watched her limping and seemed to be “laughing at her,” the family’s adopted son testified Thursday. At Skagit Valley Hospital later that night, emergency physician Janette Tomlinson told Larry and Carri Williams their adopted daughter had died. Larry got “teary-eyed,” but Carri was calm and talkative, the doctor testified. “She was not real distraught,” Tomlinson said. 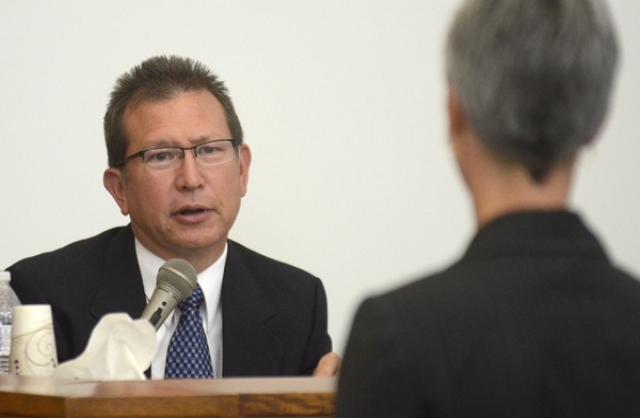 Larry and Carri Williams are standing trial on charges of homicide by abuse and first-degree manslaughter in Hana’s death, and first-degree assault of their adopted son. They have pleaded not guilty. Read more at Skagit Valley Herald.